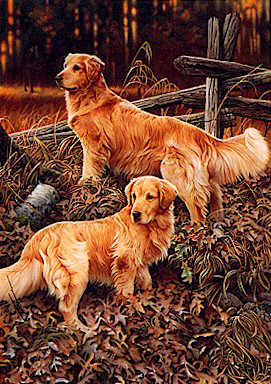 Jerry Gadamus is recognized as one of America's most popular wildlife artists. one of the " Top Fifty Prints " that " rocked the print world " in 1998.
masters. Jerry's artistic painting style astounds even his artist friends.
" Golden Heritage " 17 " x 25 1/2 "  Call for pricing.